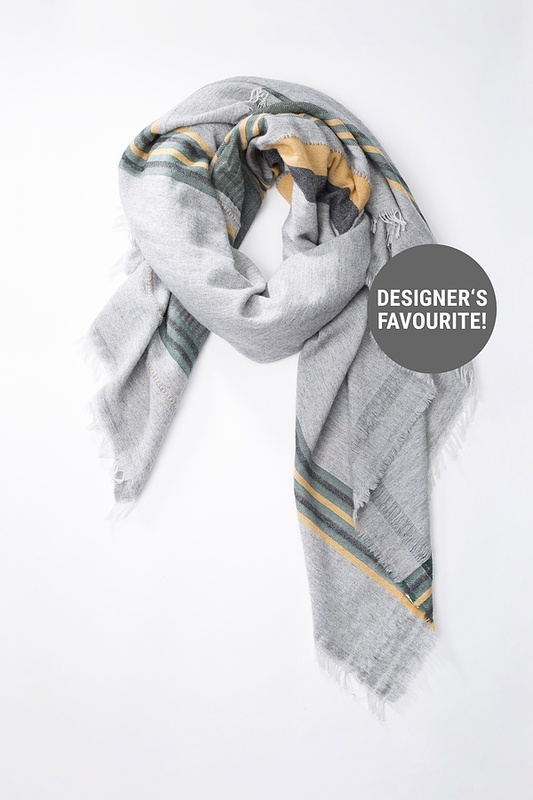 This luxurious OSKA scarf is almost square-shaped. It can even replace an outdoor jacket on warm autumn days – just drape it over the shoulders. The coloured stripes are a beautiful eye-catcher. 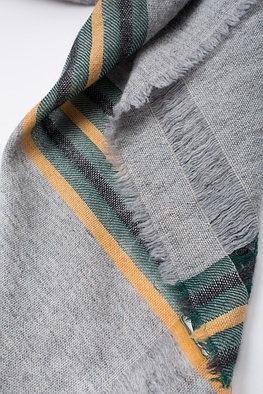 Open weave edges at the hem are interchanged with fringes.